Why typing "The End" isn't the end of it. It's not the real cover, of course, just the picture I had in mind while writing my novel. But I thought I'd post it to celebrate typing those magical words "The End!" Yes, it's finished, except it's not. I'm sharpening my editor's pencil now, or my finger-ends as they tap against the keys. One of my protagonist is threatening to sharpen other things and complains over my shoulder. "How dare you make me out to be a wimp," says Tom. "I'm not some shy retiring Englishman like Eric. I've got style." My feeble defense makes me the real wimp I suppose. "I just wrote what you said"
But Tom complains I only ever talked to him when he was down. Which is true. He only ever noticed me when he was down. Still, I promise I'll work on fixing his scenes if he'll just let me know what to change. My Mum used to joke when I was a kid that I'd stand at the pearly gates begging, "Just let me finish another chapter please." Hopefully those gates are still a long way off, but I've almost finished the novel, and I've just finished reading last week's books before starting on this week's. Just let me finish another chapter first, then I'll brew some coffee and make dinner. As usual, the blue links should take you to my gather reviews, and the coffee ratings should take you to the nearest coffee shop. 75,500 words... How can it take so long to write the final scenes of my novel? I think I'll blame the weather, the weeding, the grass-cutting, the pine-needles walked into the house requiring much vacuuming, etc... But I really must try to finish it this weekend. Meanwhile, here are two great free books from Amazon. Travelling the world for free? Antarctic penguins look great--his aim was to reach the end of the world, otherwise known as Antarctica. I would certainly like to get there somehow, but I'd rather be a tourist than a guide. There's a good book going free on Amazon kindle today and tomorrow--Jackie Gamber's Redheart (read my review of Redheart, and its sequel Sela at these links)--so head on over there if my reviews have enticed you. How to travel the world for free, by Michael Wigge, will be released as a TV series soon and is definitely interesting, though there's no way I'll be planning to follow in the author's footsteps. With a lot of determination and a serious willingness to beg steal or borrow en route, he makes it from Berlin to Antarctica--the end of the world--and writes a great journal filled with characters, social commentary and great scenery. Enjoy this one with 5-star intense cup of coffee--the trip gets pretty intense sometimes. I plan to finish the novel this week. I really do. And if it rains I won't have to do yardwork so maybe I'll even succeed. It's up to 70,000 words now and taking the weekend off has told me a) which two sections need more work, and b) how the story's meant to end. Sounds good to me. My fingers are itching to type. Meanwhile I've been reading, but I'm going to wait till tomorrow for those coffee and book reviews--I need to write! Instead, here's some information about a new book I plan to read soon, called Suffocate. It's the first in S.R. Johannes' new Young Adult Breathless series, and today--May 21st, is its release date! I read about a friend who's feeling under the weather. So sad, with the weather being so bright and summer-like at last. Of course, all that sunshine after all that rain has encouraged all those weeds. So now my yard has me working "under the weather," depriving me of time to read and write. Still, Love on a Transfer grew to 69,000 words today, and the chapters still bouncing around in my brain will surely find their way to the computer soon. (Hey, it might rain again!) Plus I've almost read two books in the last two days, so maybe I'll only be two book reviews behind schedule by the end of the week. I'll try anyway. Meanwhile, I'll rest my fingers awhile--the blisters are stinging from pulling out those weeds, leaving my hands feeling sorely under the weather. Meanwhile other people's books add themselves to my to-read list. How can I resist something called Angelkiller or a tagline that reads "Why do bad things happen to good people? Simple. In the ancient war between the Angels of Light and Darkness, the Dark won." And it's free on Amazon, today and tomorrow! Follow the blue link for your US kindle copy. I've started connecting part one of Love on a Transfer to part two. It's 66,000 words now, with several chapters still waiting to be written. And I like it! I guess I'm hoping lots of other people might like it too, but that's all in the future. For now, it's nice to see it coming together and feel like it's going to work. I shall switch off my computer in a moment and go wander around the green, talk to Tom who's going to tell me how he felt when Ellen went back to England with Eric, and how feeling so guilty about his behavior changed his character. Poor Tom. Even non-perfectionists get hooked up on wishing they were perfect once in a while. This isn't the cover, but it's the picture I carry around in my mind. 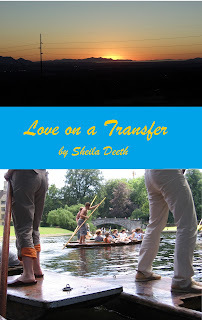 Love on a Transfer--Cambridge to Salt Lake City and back, with thanks to Willow Moon Publishing! Want a fun free book? I just got Steven Shrewsbury's Overkill free on a kindle deal--available today and tomorrow. I keep reading about how good it is, sword and sorcery and so on, so I'm really looking forward to it. Meanwhile I spent spare moments between tasks enjoying 103 puzzle quizzes from Grabarchuk. I'm not sure why, but these puzzles appealed even more than previous sets--perhaps practice makes practiced? Anyway, a mild crisp 1-star coffee will go well as you work your way through this book--highly recommended for those times when your kindle's ready but you've got too much to do. Tom, from Love on a Transfer, has finally arrived in Cambridge. Taking a walk around town he finds the mysterious Round Church and buys a postcard with a picture of a Round Tuit. Now he has no excuse to put off getting on with his life. But the girl of his dreams is due to get married here in just a few days. His head's spinning round. Meanwhile my book review list includes a book set in the other place! I'm due to read Andrea Kaufman's Oxford Messed Up pretty soon, and I just heard it was just awarded the Best Adult Fiction E-Book Gold Medal in the “IPPY” Awards--awards that reward those who exhibit the courage, innovation, and creativity to bring about change in the world of publishing, or so I'm told. Plus it's only 99cents on Amazon kindle at the moment (http://www.amazon.com/Oxford-Messed-Up-ebook/dp/B0063UQVM2/), so if you want an e-visit to the other place, now's the time to buy your copy! 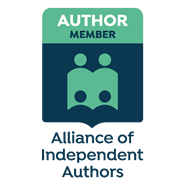 I'm delighted to welcome Danika Dinsmore, author of Brigitta of the White Forest and the Ruins of Noe, to my blog today as part of her Lightning Book Promotions tour. I thoroughly enjoyed both of these books and I'm really pleased to get to know the author better through this post. Danika Dinsmore has created an amazingly detailed White Forest, peopled with faeries full of history, character, emotion and common sense. The novels stand alone and fit together perfectly, and the world itself unfolds very naturally as tales are told. 18,000 words and horror too ! Love on a TransferPart II is now 18,000 words long, and no, it hasn't morphed into a horror story, though navigating the vagaries of British English vs American English might give poor Tom some horror stories to tell when he gets back home. I'm trusting my writing won't be horrible either, and I'm still in awe that Willow Moon have trusted me to complete the story this way. There's no horror in the romance novella I reviewed recently for Nights and Weekends either, but you can find my review of Lullaby in Lone Creek in today's edition, and my review of Lost in Lone Creek in the archives. I'm reading another Mary Manners novella now and hope to send my next review to them soon. However, I have read three horror novels this week, hence the headline for this post. If horror's what takes your fancy, grab some 5-star strong dark coffee and browse my reviews on Gather.com. That heading should be 16,000 words and writing, but housework calls, yardwork's soggy, and the cupboard's getting awfully bare. I checked the bottom of my page in Word and it's counted to 16,000, which sounds pretty good. Tom has finally realized what day it is--ah, the trouble with jet lag--and now he's planning how to get to his friend's house in time for the wedding. Anne has at least become a voice on the telephone instead of just an email address. And love awaits... Love on a Transfer, ion fact. Part II keeps moving along. I know, I know. I should be writing more words. But when that editing itch gets me, I just have to reread and revise what I've got. The weekend's 13,000 are now a little more polished, and they've grown a bit too. Tom's about to get back online and work out what day it is--strange how the sense of time goes awry when traveling abroad. And Anne's going crazy wondering why Tom hasn't been in touch yet. Given a little more time and words, I'm hoping they might meet soon. In other news, there's a book called the Brotherhood of Dwarves free on Amazon kindle today and tomorrow. It's billed as YA Fantasy, Epic Fantasy, and General Fantasy--I plan to give it a try though it may take a while to get around to reading it.